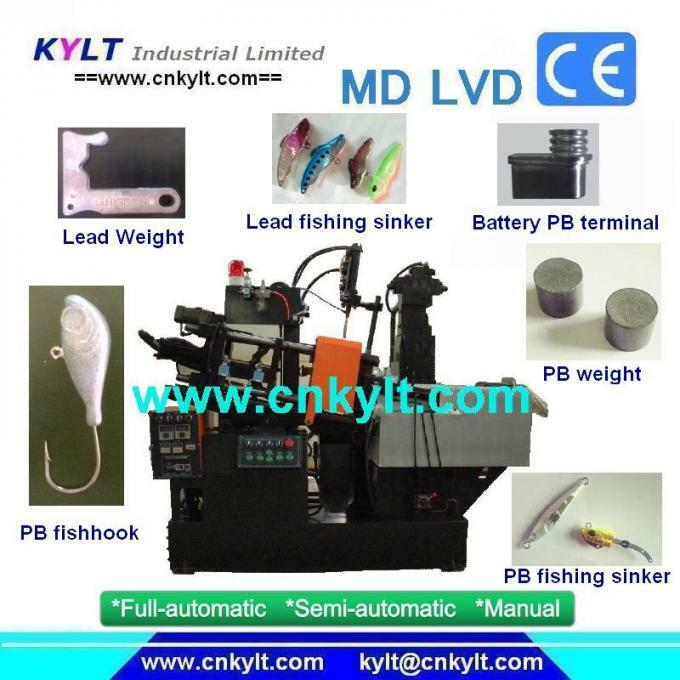 KYLTlead Pb injection machines (also called: Pb casting machine or Pb injection machine) are specially used to cast lead alloy part for lead acid battery. With molds of battery bushing and terminal, the machine can do casting work automatically, don't need worker to care all time, is good for the healthy of operator. Now,KYLT12T,18T, 20T,22T (PLC),30T die casting machineprovide "CUSTOMIZED SERVICE". 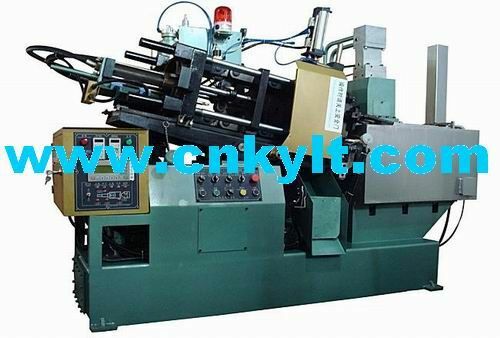 KYLT hot chamber lead (Pb) die casting machine,also named,zinc(Zn.) hot chamber injection machine, lead(Pb.) injection metal injection machine,zinc injection machine,zinc metal injection machine or metal casting machine. We have12T,18T,20T,22T(PLC),30Thot chamber die casting machines for our client to choose.Those machines can be used to cast, zinc(Zn. or Zamark), lead(Pb. ), Tin alloy etc low melting point materials.